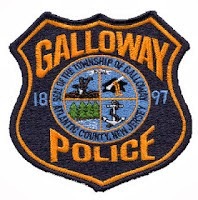 The Galloway Township Police Department has hired two (2) recruits to attend the Atlantic County Police Academy. According to Galloway Police, Recruit Molholland and Ghandi have been given conditional offers of employment based on completion of their respective police academy training. Recruit Molholland has been a Class II Officer with the Galloway Township Police Department since the summer of 2013. Recruit Ghandi was recently acquired in January 2014. According to personnel action forms released through an Open Public Records Request, Recruit Molholland and Ghandi were hired on January 2, 2014, as probationary employees with a salary of $44,134 respectively. Both are listed as "hired to fill open position." Galloway Township Police stated "a full press release will be put out by this agency upon their successful training completion." Finally!! They need more but at least the council is finally addressing this safety nightmare.